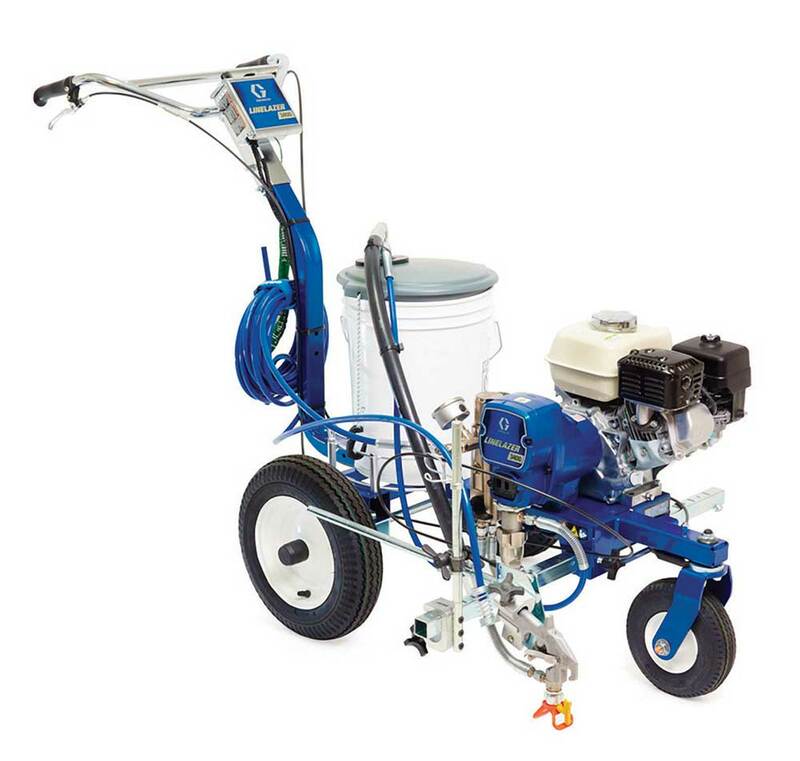 The LineLazer 3400 is the proven performer for your re-stripe jobs. 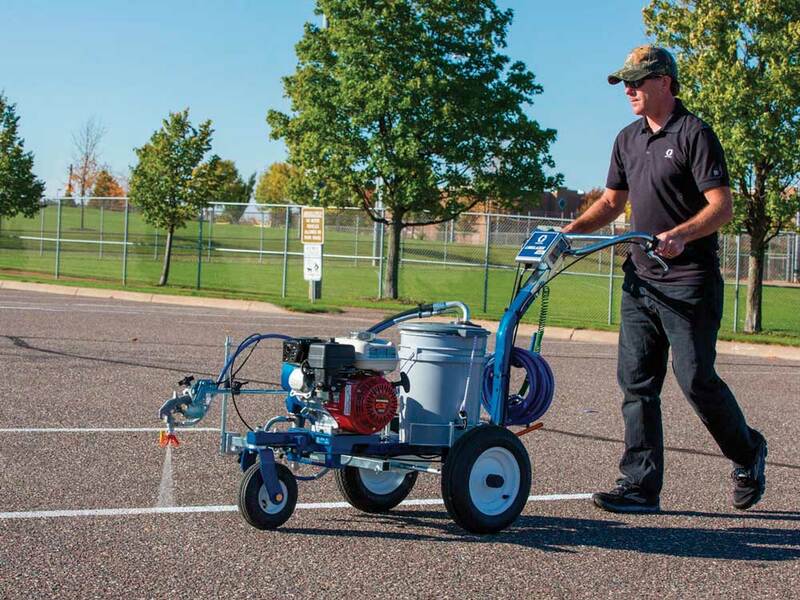 As the preferred choice for 1-gun professional performance, the LineLazer 3400 is perfect for small parking lots, mini malls, seal coating contractors, schools and park and recreation departments. 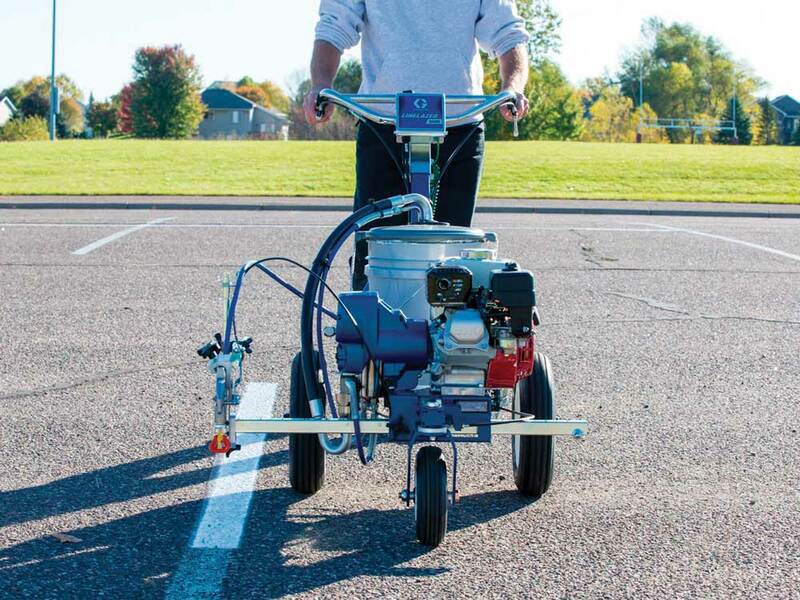 Newly designed frame is 3 inches longer, adding stability and improved tracking which results in improved line quality.